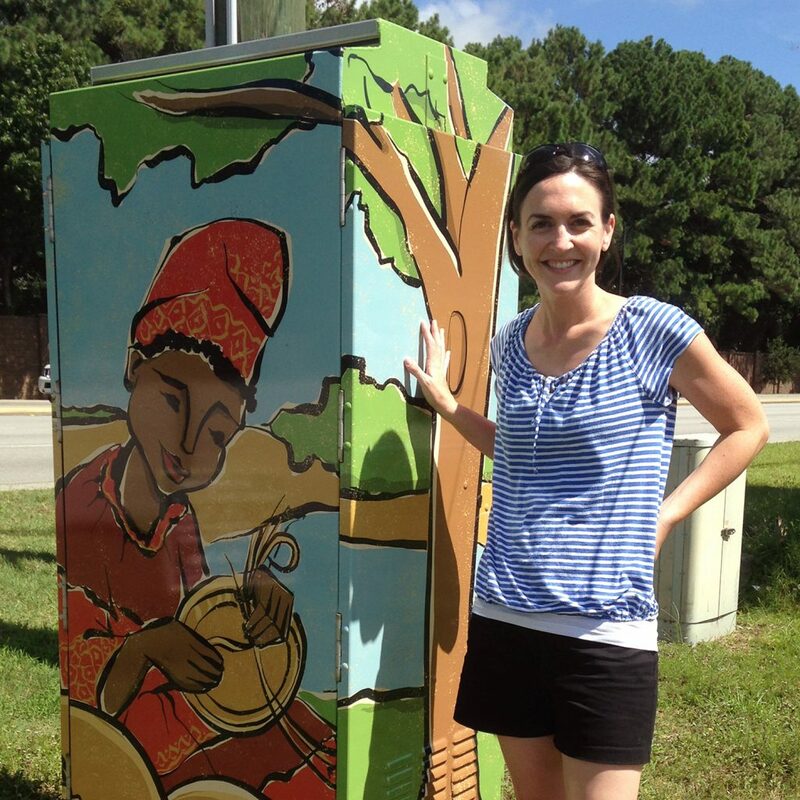 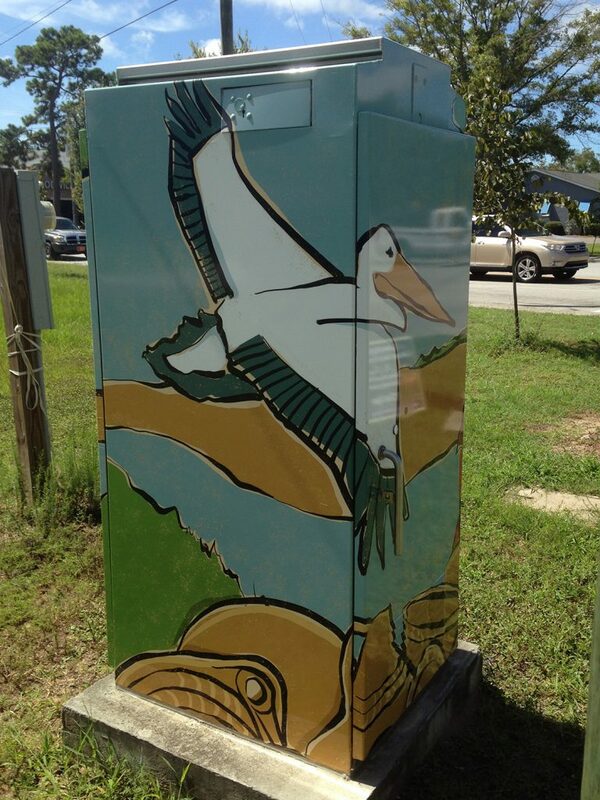 This illustration was created to wrap around a 6ft traffic signal box, as part of a public arts initiative by the Town of Mount Pleasant, SC. 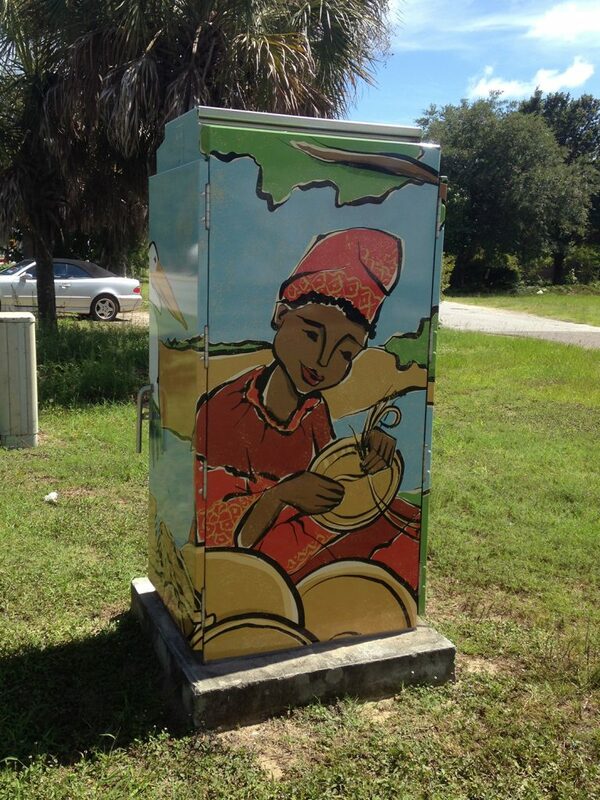 I chose the local tradition of sweetgrass basket-making as my theme, and created the 4-paneled wraparound image to meet the specs of the industrial structure. 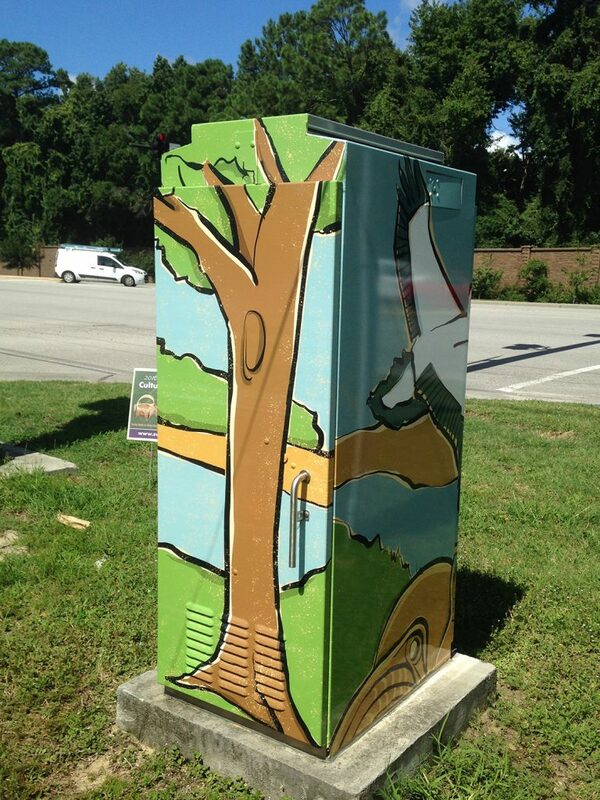 Best of all, the location of the decorated electrical is right around the corner from my house!